Parents are fighting to save a bus service from being axed, with fears that some children may be forced to swap schools as a result. The S18 service takes youngsters to St Ignatius Catholic Primary in Ossett but has been deemed ‘not value for money’ by the West Yorkshire Combined Authority (WYCA). The bus was first introduced 15 years ago as part of a Government-backed scheme to give parents a greater choice, but WYCA says subsidised funding has since been cut. In addition, they say the number of regular numbers have fallen to 19 leaving a lot of empty seats. As a result, they plan to cut the service from September, however, parents are hoping to prolong its life. They already pay towards the service and have now offered to increase the money, or have suggested using a smaller, more cost-effective bus. Gemma Smith, who has two children at the school said: “It will have a massive effect, single parents who can’t afford any other transport may have to take their children out of the school. “The bus is a lifeline, we need this service. “The withdrawal may force children to be moved to another school. “This bus has been running for 15 years and was originally put in place so that catholic children could travel from other areas to be able to have access to a catholic education. The WYCA says a final decision on the bus is yet to be made and is currently going through a consultation period. 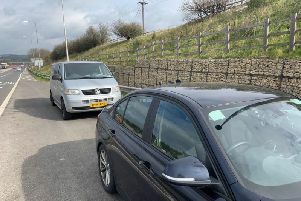 A spokesperson said: “The WYCA organises and subsidises a range of school bus services for around 25,000 pupils and students across West Yorkshire. “Reducing local authority budgets means that the authority is having to review all services to ensure they represent value for money for local tax payers.